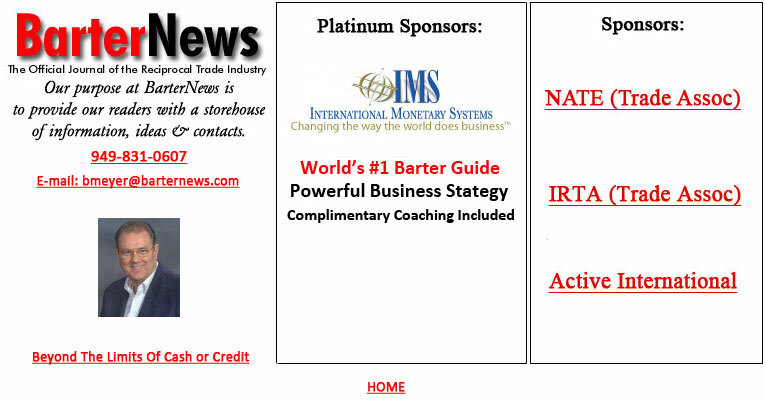 BarterNews magazine is distributed by mail as well as through the U.S. and Canada at Barnes & Noble, and other independent bookstores and specialty retailers. Also writes and distributes the 10-year-old monthly newsletter, The Competitve Edge. 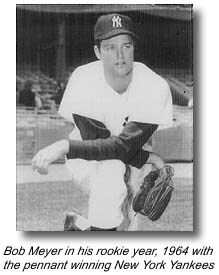 And more recently, authored the 532-page BarterNews FastStart Barter Program for the business community. 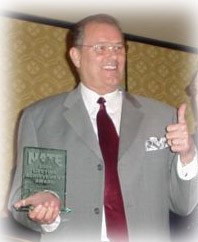 Recipient of the IRTA "Legends of Barter Award," October 2, 2009. 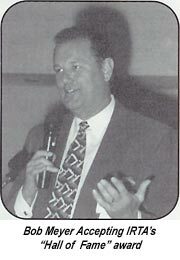 One of the first four charter inductess into the International Reciprocal Trade Association's "Barter Hall of Fame," September 26, 1997. Twice received the Distinguished Service Award from the International Reciprocal Trade Association (IRTA)-May 13, 1985 and October 18, 1991. Distinguished Service Award from the National Association of Trade Exchanges (NATE)-March 18, 1988. Frequent speaker and workshop leader at national barter industry conventions. Has twice addressed the American Countertrade Association, a prestigious organization of 111 major Fortune 500 companies who "countertrade" in the billions of dollars. His advice was sought by one of America's largest corporations and the nation's biggest defense contractor before they bartered $16 million of excess inventory. A prominent Japanese corporation flew two company executives halfway around the world for a consultation before they moved forward in a joint venture agreement with a corporate barter company. A Southeastern roofing contractor sought his advice and purchased his program before moving ahead on a $900,000 trade with a group of Florida hoteliers. Hosted the 1989 International Reciprocal Trade Associations' Western Regional Conference, at the Dana Point Resort in Southern California. Member of the Editorial Review Board for The Counter-trade and Offset Lexicon. Married since 1971, now lives with wife and two sons in Orange County, California.